Foam rolling is the cheapest and most effective way to change the density of our muscles and fascia before racing. We want to change the density of our muscles so that they are able to function and adapt to the stimulus that we place on it. If we could all afford and have access to a great massage therapist before any training session or race, then of course that would be ideal. However that is not possible for most of us. Foam rolling is the best $12.00 investment you could make to get yourself feeling better and perform the best at your race. If you do not have access to foam roller due to travel reasons try to have a massage stick like the “tiger tail”, “theraband massage stick” or any of the “trigger point” products all serve the same purpose as a foam roller but easier to travel with. 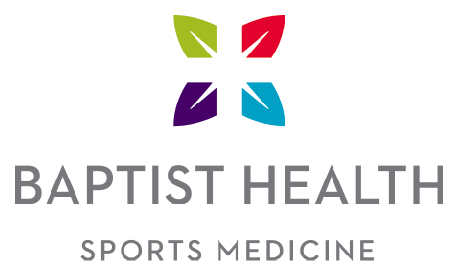 A lacrosse ball will actually get to the piriformis, pec minor, and deep hip flexors better than a roller, and that is very easy to travel with. 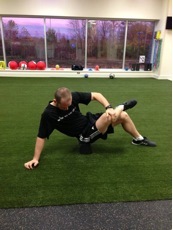 Foam roll your Quadriceps. Lying down on the roller, place the roller right above your knee. Then rolling very slowly, roll the roller up to the crease of the hip, and then back down. If you feel a knot or adhesion hold it on that spot for an extra second. Roll about 10 times up and down. Foam roll your Glute/ Piriformis muscle. Cross your ankle over on your knee and then rotate your upper body so that your opposite hand is on your knee that is crossed. 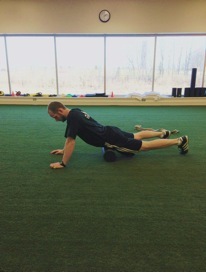 Working a very small area roll your glute on a diagonal pattern nice and slow again. Roll your achillies/ calf. Working just one leg place the roller behind your lower leg. Work the roller from your ankle up to behind your knee. Make sure to get up on your hands to try and get as much pressure as possible on your calf. Roll your thoracic spine (upper back). The thoracic spine is an area that will lose mobility as we get older, and especially if we are on a bike for long periods. Lie down on top of the roller with the roller just in line with your shoulders. Bringing your elbows together over your chest will allow your shoulder blades to move out of the way. 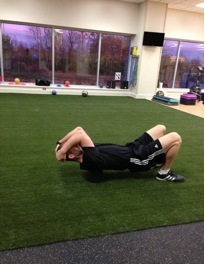 Rolling slow and controlled work form the base of your neck down to right under your shoulder blades. Your deep hip flexors have a tendency to get locked up and tight throughout the day, whether that is from sitting at the desk, on a plane, or on a bicycle we all deal with it. This is a tough area to work due to how deep those muscles are, but none the less it is worth a try. Ideally you can use a lacrosse ball here instead of the roller. Place either object just below the belly button and towards whichever leg you are working. Raise your upper body up onto your hands and just move the ball or roller around in small movements to apply deep pressure to that muscle group.